Some time this autumn Francois Bourdoncle will roll out what he would like to call a "Google killer". Does Europe need its own search engine? That, anyway, was once his ambition. I think he would now settle for "Google competitor". Based in Paris, he has been on the trail of a better internet search engine for something like eight years. Before that, he had worked on AltaVista, one of the web's earliest search tools. Then along came Google - and everything changed. Google, of course, is a fantastic success story: from its quiet launch in California's Silicon Valley in 1998, it has now become what is on some days the largest media company in the United States. After a cheapskate start, Google has been spending money like crazy on expanding the reach of its search technology. It has launched dozens of new services in the past year: many of them in test "beta" versions which seem to be driven less by business plans than by a grab for territory to which its search techniques can be applied. It has been advertising for really clever people to join the Google team. It makes big money out of the highly focused advertising on its main sites. It is also - seemingly - something of a natural monopoly. Google works well, and satisfies millions of free-choice users every day. Why do we need another search engine, based in Europe? Well, it has always been the case that Google works well because nothing better has come along - yet. At the same, time European politicians seem worried about the supremacy of the Americans in cyberspace. French President Jacques Chirac has unveiled five grand Europrojects backed with public money to help counter the prevailing American technology influence. Among them is something called Quaero, backed with some 250m euros of public funds. In most accounts of it, Quaero is been billed as an EU attempt to build a publicly funded Google killer. Francois Bourdoncle denies this and he ought to know, because his firm - Exalead, based in that foodie heaven, the Place de la Madeleine in the centre of Paris - is one of the companies getting money from the Quaero project. He says Exalead already has the search engine. Quaero, in his argument, is merely a research effort to put public money into improving Web search generally: extending it to unlabelled pictures, audio and video, for example, and advancing towards the holy grail of voice-to-text translation. Big companies such as Thomson, France Telecom and Siemens are also getting research money. Whatever it turns out to be, Quaero is much criticised as an irrelevant and distorting attempt by politicians in Europe to catch up with what the Americans have already done. Some European commentators, such as Bernard Benhamou, a senior lecturer in information science at the Political Science Institute in Paris, disagree. Mr Benhamou says that European culture is at stake. For example, Google's ambition to put all the books of the world onto a searchable database needs to be matched by a European search base that will make available European culture into cyberspace, without the current English language bias. 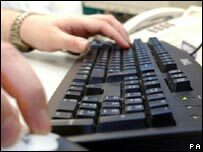 There are currently four Internet search engines in wide general use. 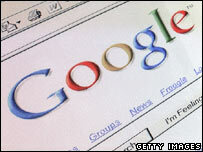 Google is the main one, generating 80% of the total revenue from search. Google owes its supremacy to the clever way its co-founder Larry Page "Pageranked" web pages, listing the relevant pages depending on how many cross references there were from elsewhere on the Internet. It is good, but - as we Internet sophisticates know - it is not perfect. Simple searches produce impossibly many listings. No matter how intuitive Google seemed when you first encountered it, the magic wears a bit thin on repeated usage. "That's because people are serendipitous," says François Bourdoncle. "That is how our new search engine works". Search for Kyoto on this new engine and you may get climate change, in a special folder; not the 85-million page references Google throws up. "We go in deeper but then wider," he says, slightly mystically. He promises eight billion Internet pages surveyed on these principles when the new engine has its fullscale launch in the autumn. But why take on Google? Creating a search engine that better fits human experience (if it works) is only one reason. Google's Pagerank principle is another: advertisers can be badly hit if this way of organising information changes, or is interfered with. Choice, Francois argues, is good. "We want to be one of the five engines most people use," he says. 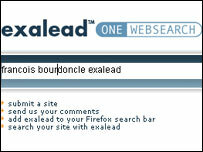 "There is still room for millions of searches to be done on Exalead." In an increasingly digital world, search is going to be more and more important. That is clear. Exactly how much choice in search engines Internet users need is not. Perhaps - with Exalead - we will know by the end of the year. Peter Day's In Business on Grand European Projects such as Quaero goes out on Radio 4 on Thursday 18 May at 8.30pm and Sunday 21 May at 9.30pm.